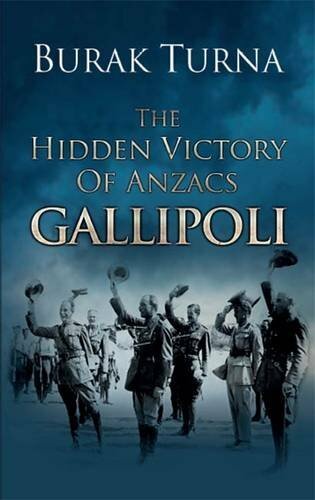 Peter Stanley reviews Burak Turna’s The Hidden Victory of Anzacs: Gallipoli. Imagine a world in which all historical sources, archival and published, on World War I have been destroyed, except for provincial newspapers in Australia and New Zealand and odd newspapers from the United States. How well could we interpret events in the Aegean and the Balkans in the early twentieth century? Not very well, you might think, since the North Western Advocate and Emu Bay Times or the Wanganui Chronicle record more details of the price of fat hogget wethers in the spring sales or the prospects of the wheat yield than they do of the politics of the Ottoman Empire. Still less would the Terang Express or the Maitland Weekly Mercury – you would think – provide a foundation for a confident, not to say radically revisionist account of not just the Ottoman Empire but the entire system of European international relations in the early twentieth century. The Turkish novelist Burak Turna has done just this, however, and the result is a bizarre fantasy but one presented as serious history. Turna’s The Hidden Victory of Anzacs: Gallipoli essentially contends that a rebel ‘Macedonian’ army seized power in Constantinople in 1909 and then acted in concert with Italian-directed ‘Garibaldian crusaders’ and the armies and navies of the European ‘Powers’ to conquer Turkey. In this process the crucial battle was for Gallipoli, a campaign fought in 1915, but in which the invading ‘Anzacs’ – the larger British force seems not to figure – were victorious. This victory was accomplished largely by the power of the British battleship HMS Queen Elizabeth and the employment of Marconi wireless equipment operating in ways that Turna doesn’t spell out very clearly but which appear to involve the use of reconnaissance drones and ‘network-centric warfare’. Like me, you will almost certainly regard Gallipoli as a defeat for the invaders, Anzacs and others. ‘No,’ writes Turna, ‘Anzacs did not lose the Battle [of Gallipoli]; they won and handed Gallipoli to Garibaldians’ (p. 312). 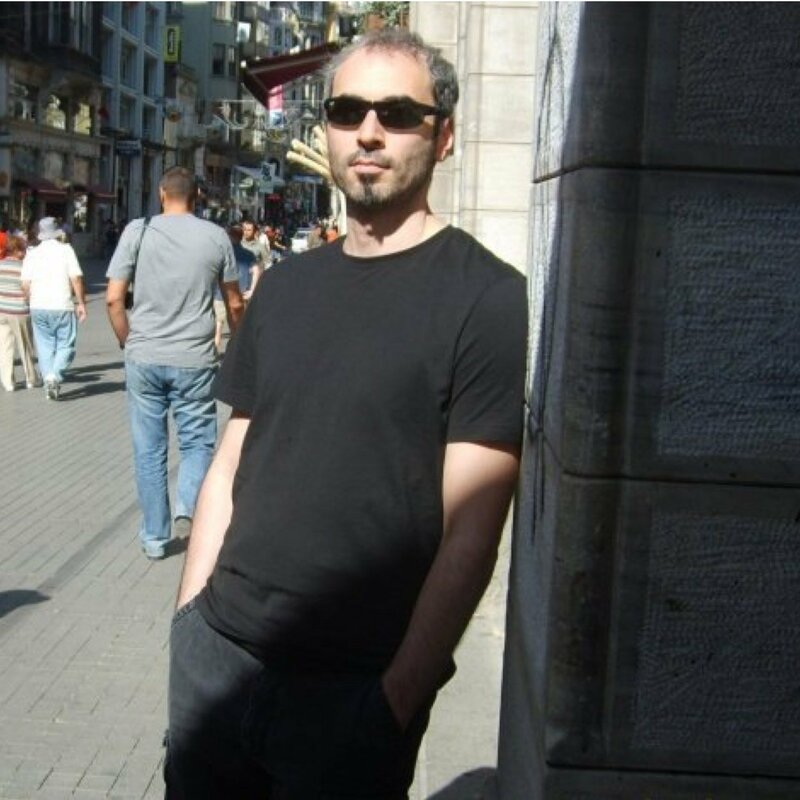 Burak Turna is a novelist and author of hypothetical novels popular in Turkey. He has published the ‘Metal Storm’ series of novels which, his blurb tells us, has made him ‘the most critical and feared writer of Turkey’. Feared? Indeed: ‘historians carefully avoid to discuss with him on TV’. Whoa! Turna genuinely appears to believe that the essential truth, hitherto unknown, about the course of a European-Ottoman war can be discerned from the reports of European affairs published in Australasian provincial newspapers. What is Turna claiming to be the ‘truth’ of Gallipoli? The book’s starting point is that the 1909 military coup that installed the ‘Committee of Union and Progress’ (CUP) in power in the Ottoman Empire did not actually occur, or not as it is conventionally understood. There was a coup (or rather the invasion and conquest of Constantinople) but the CUP was actually (Turna says) a front for a faction of the murky ‘Internal Macedonian Revolutionary Organization’, the militant wing of a (Christian) ‘state-like armed organization’ which, after seizing control ‘converted one arm of itself into Young Turks’ – becoming ‘a muslim [sic] nationalist organization’ (pp. 21-23). Italy, Turna claims, led a coalition of forces of ‘the Powers’ – the nations of Europe – to invade what was left of the Ottoman Empire, gaining victory on Gallipoli. How? He claims that the invaders of Gallipoli possessed technical capabilities far beyond those we have till now understood, in ballistics, aviation, wireless telegraphy, target acquisition and weapons guidance. He believes, for example, that the Royal Navy’s ships were able to destroy targets on land guided by techniques of wireless telegraphy and guidance – techniques which he cannot actually describe. Indeed, Turna seeks to prove that the ‘Anzac’ landing on Gallipoli was actually a great victory. He ignores the larger British force, though he claims that the French expeditionary force actually comprised ‘Garibaldian’ volunteers from a dozen countries and not metropolitan and colonial French troops. Italians (who do not figure in conventional accounts of Gallipoli at all) were centrally involved – Marconi wireless, don’t you see …? It is hard to know where to begin to deconstruct this extraordinary fantasy – or, indeed, whether to bother at all. It could be written off as the product of an unschooled or undisciplined mind, one uninformed (and certainly unconstrained) by conventional historical methodology. But The Hidden Victory of Anzacs looks like a conventional book of history (except it lacks either references or a bibliography) and potential buyers need to be cautioned that, if they spend their £15.90 plus postage, they will be buying a book that is absolutely false in its assumptions, grossly flawed in its methodology and utterly misleading in its narrative, argument and conclusions. Where, we might ask, is the evidence? Surely a century of scholarship has unearthed all the archival evidence we are ever likely to see? Ah, no, you see, because Burak Turna has a profound scepticism toward about what he calls ‘official history’. By this he means ‘the globally accepted information about our common past’ which is, he believes, so untruthful that he refers to none of it; not to official archives, not to the memoirs of participants, not to authoritative public accounts (such as The Times of London, also available digitally but unused); nothing except newspaper accounts published in distant places. These sources he describes as ‘meta datas … pure datas … free from comments and not prone to manipulation’ (p. 12). Everything else, Turna says, is lies. His use of the term ‘meta-data’ is confusing. It is generally defined as ‘data that describes and gives information about other data’ – so, for example, a library catalogue describes the books in a library’s collection. How newspaper reports can be regarded as ‘meta-data’ eludes me; but perhaps it’s different in Turkish. Turna deprecates – no, excoriates, dismisses and condemns – all previous accounts as ‘lies’, though without ever explaining what it is that he finds objectionable about all previous writing in several languages about Gallipoli. In his world, ‘official history’ encompasses everything that has previously been published about Turkey’s history from 1909 and on the Dardanelles-Çanakkale campaign. What he accepts, on the other hand, are newspaper reports; moreover, reports he has found by the magic of the internet and the digitisation of newspapers in several English-speaking countries. Turna has accepted these accounts, though he is unaware or uncaring that they were written by journalists distant from the scene of the events in question, based on cables or official communiqués, most of which had been censored by the British military authorities. He also takes as incontrovertible, accounts foreshadowing events (such as the bombardment of the Dardanelles forts) as ‘proof’ that the events developed as had been foreshadowed. The problem with this approach is that the newspaper reports that Turna draws on exclusively also support what he regards as the ‘lying’ official version. Newspaper stories published in Australia and New Zealand reflected and supported the ‘official’ version. Turna has found odd snippets that support his idiosyncratic reading of the campaign (for example, by cherry-picking reports of Italian volunteers for ‘Garibaldi’-inspired units as constituting ‘proof’ that the campaign was largely conducted by Anzacs supported by ‘Garibaldians’ under Italian command). How can these newspaper sources be regarded as ‘pure meta-data’ when they can also be used to buttress a view utterly contrary to his? One of the fundamental problems with Turna’s approach is that he has turned conventional historical research methodology on its head – and not, as they say, in a good way. Of course, all evidence is usable, but some forms of evidence are more usable than others. For example, if I wanted to establish what the battleship Queen Elizabeth contributed to the Gallipoli campaign, I would begin with what are regarded as authoritative published sources (notably various official histories) but would also try to find more recent studies of the campaign, the ship, naval warfare in the period, etc., to see if anyone had challenged or revised the views published over 80 years ago. I would, of course, check the bibliographies of all of these books and try to find primary sources, such as records created by the ship’s officers. I would consult this archival evidence in the United Kingdom National Archives, the Imperial War Museum, the Royal Naval Museum and other archives, some of them available on-line, and would look for what we might call ‘corroborative’ records, such as Australian military records, or the diaries of men who saw the ship in action. If I were extremely diligent I might then check contemporary reports in provincial newspapers to see if they add anything. Turna has bypassed all of these sources except the least reliable or significant – though newspapers on the National Library of Australia’s Trove facility are the most easily found. Using the least significant (but most easily consulted) evidence is like someone writing a scientific thesis on wildlife based on the appearance of animals in television car advertisements, or a constitutional history using snippets of conversation overheard on buses. They would pick up references to jaguars or gazelles, or comments on this or that politician, but their accounts would be utterly unreliable and probably irrelevant. And why would they bother, when they could study animals in the wild or politicians and political ideas through more authoritative sources? A serious question that Turna fails to address or answer is how he reconciles his idiosyncratic account with the massive amount of official and private archives – again found in several countries – which underpins the so-called ‘official history’. It is not that all other historians agree with each other, but none of them agree with Turna. Turna simply fails to explain how the huge amount of diplomatic, military and unofficial records – ambassadors’ reports, the archives of the British, German, Turkish, French, Australian and New Zealand armies and their navies, and the letters, diaries, memoirs and photograph albums, not to mention civilian government and private records, none of which support his interpretation – can be reconciled with his version. Are we to infer that this archival lode has been fabricated – by whom, at whose direction and, above all, why? Turna’s starting point is that Macedonian renegades seized power in Constantinople in 1909. Even if that were true, how is it possible for their agents to have infiltrated the archives of a dozen countries to fabricate evidence that would conceal the ‘real’ course of events in European Turkey in these years? It occurs to me that it is possible that Turna actually has no idea that such sources even exist. In short, Turna’s account exceeds the bounds of credulity and must be dismissed as a pathetic invention. Sadly, he seems to have fallen victim to his own invention and has foisted on us a book purporting to be an historical account but which is in fact a fantasy. On what evidence does he contend that ‘Macedonians’ conquered the Ottoman Empire in 1909 and that an Italian-led international force of ‘Garibaldians’ mounted the invasion of Gallipoli? Why has he not consulted any contemporary evidence except newspaper reports? Is he aware of the massive quantities of archival evidence available? How does he explain the degree of effort required to falsify the archival and published evidence that disagrees with his version of the campaign? How does he explain the huge discrepancy between his view and all other published accounts of the Gallipoli campaign? Why does he regard everything else published on this subject as ‘lies’? It is possible that this book is, as we say in Australia, a ‘leg-pull’ – a joke, that the entire venture is a hoax. I think though that, sadly, Burak Turna is serious – and seriously deluded. Peter Stanley is the President of Honest History and a research professor at the University of New South Wales, Canberra. He has published more than 30 books on military and social history and visited Gallipoli many times. ‹ Australia’s no-go zones: Rachel Landers’ Who Bombed the Hilton? When I have read Mr Stanley’s response to my response to his original review of my book, I understood that he was about start evasion tactics which I have witnessed so many times during my encounters with Turkish historians. So rather than leaving “Honest History” as a good memoir, I thought another chance should have been given because obviously it was not easy to grasp such a huge deviation from the known (albeit wrongly) territory. Debating with me would be difficult just because I might be expecting my debatee to understand too much thing in small sentences which is how my brain works. But we should also see that Mr.Stanley is not really keen to learn and understand. Because in most instances he simply skips all the argument that I have invested. He does so, because he knows he simply loses there, when he thinks that he loses, he skips and tries to find someting I left blank. And he simply does not love a good idea if it destroys his own good ideas. My approach to history as a police detective simply does not suit him because, this would simply alters and refutes all explanations that he believed for so long. I think progressing around 5 questions is a good idea, so I get on with it as below. 1-Mr Stanley believes that I did not provide the evidence I relied on while making extraordinary claims such as “Macedonians Conquered Constantinople” and “Garibaldians” invaded Gallipoli. Well, whole book is full of evidences but let me repeat one of them here. “…For Constantinople has now got new masters, slim, clean-built men with springy step, the bright eye, and the cheerful laugh of the mountaineer”	“The day of the squat, dreamy, fanatical, and savage Anatolian over; the day of the keen and energetic Macedonian has come, and with it has come a new era in the history of Turkey…. Did you read that? What does that mean sir? How a city could have ceased to be Turkish if it was not conquered by another breed, Macedonians in our case according to Francis McCullagh? You always refer to memoir,reports etc. as evidence and I refer to a memoir, if you wish to call so, written in the closest moment to the event. They were Macedonians Mr.Stanley. And the day, 23rd April 1909, “Macedonian Army” (as was named by Mr.Cullagh) entered the city, captured the Sultan and the Palace. And they were the same people whom Ottoman Empire fought for a long time under the name of Macedonian Rebels… And despite this apparent evidence, and many others, Mr.Stanley claimed otherwise telling his readers that “no one but Burak Turna describe the events he claims occurs). This is not looking for truth, this defending a position. What is this? Manipulation? I could write whole book here, but I think this is a very fine evidence about the nature of the battle that took place on that day. Do you have any objection to that, sir? you simply ignore it and declare I am undebatable because my evidence simply refutes your historical knowledge. How a historian could write a book and not mention “Macedonian Question” which affected almost every international relation including 1878 Berlin Agreement. In the book there are countless evidences. I have provided a primary evidence which was published in an Americano-Italiano newspaper about a landing executed by British-Italian force in great secrecy in Gulf of Saros. Those words belonged to Garibaldi. He had a plan, and he applied it. I have countless other evidences in the book. But Mr Stanley can not cope with them. What you think as contemporary evidence, Mr Stanley, is definitely not contemporary. You are the victim of history manipulation because I proved that all these memoirs seemed as contemporary to you, were made up to fool the history. For example, you thought Enver Pasha was an Ottoman General in Dardanelles Campaign. I proved that he was not. He was fighting against Ottomans. He fought and was fighting together with Macedonians against Ottomans. I even provided you a picture showing him intimately posing with IMRO terrorists of the time. Of course there was manipulated news from the front but manipulation of newspaper reports are easy to spot and verify. Your evidences were mostly made up to provide the “desired” outcome, so shows my findings. 3- I am ready to refute all the evidence you claim to exist in the form of photographs, films, in art, or whatever… I have photographs that destroys the whole ground of the official history. I have provided photos which directly refutes the official history with the support of memoirs of the soldiers who took part in these photos. But certainly, here is not a good place to discuss physical evidences. That’s why I challenge you for an intellectual duel in front of Royal Historical Society in London. So all these learned gentlemen could judge our evidences. If you really have evidence which would refute my findings, bring them on. Do you really trust your evidences? I do not think so, at all. When comes to how they were falsified, I would tell you man possibilities but I do not discuss intelligence matters in this place and it is another question to write about. 4- You repeat yourself Mr Stanley. You simply think that you “own” history. You do not develop even one sound idea against my evidences except refusing their existence. A Turkish historian for example refused to acknowledge that the person in a photograph was that person actually despite its apparentness and hunderds of peoples acknowledgement. When I asked whom the person was, he said I dont know. What could I do in such a case? If a historian choses to isolate himself in a cage totally away from the reality, I would do nothing. Thats why I believe an open discussion in front of an audience is needed. 5-I have seen that Mr. David Stephens, secretary of Honest History quoted “obscure” Australian newspapers in his twitter account about Somme. Well, just think that Mr.Stanley, if there were newspapers in 1066, even obscure ones, what would you think? Would it be better for us to learn about the details and realities of the Battle of Hastings(1066) or would it make no difference at all? A simple question? I am amazed that Donald Trump has the time to masquerade as Burak Turna. They must be one and the same person as they use the same methodology in the contemplation of their interpretations of reality. I appreciate Burak Turna taking the time to provide a lengthy response to my review, but I fear that there is little to be gained by further dialogue. Discussion with him is impossible, because he does not subscribe to, share or, it seems, even understand the fundamental tenets of western historical scholarship. He inhabits a world of his own, in which terms like ‘meta data’ seem to mean something to him that they do not mean to the rest of the world and in which he contests the most basic accounts of world history but without being able to adequately or coherently explain why. Without an agreement about the terms in which a discussion is conducted any resolution is impossible. I now understand why in Turkey (as he says) ‘historians carefully avoid to discuss with him on TV’. I would not do so either: not because I am uncertain of my interpretation or the reliability of my evidence – which everyone but Burak Turna recognises in one form or another – but simply because argument is literally impossible with someone who refuses to accept the most basic view of the nature of history and the evidence it is based on. I will not engage with the bulk of the 3000 words of commentary that Burak Turna has provided, but I will comment on his responses to the five specific questions I posed. 1- On what evidence does he contend that ‘Macedonians’ conquered the Ottoman Empire in 1909 and that an Italian-led international force of ‘Garibaldians’ mounted the invasion of Gallipoli? I contend on the same form of evidence you contend that Germans conquered (Actually invaded than repulsed but Macedonians could not have been repulsed and conquest completed) Paris in WW2. Macedonians entered the city in 1909, destroyed the palace of Sultan and captured the Sultan and took him to their base, Salonica. What else do you need to call it a conquest? Italian involvement, as all of my evidence suggested was one of the greatest secrets of the war. There are many evidences scattered inside the book. Garibaldian involvement was obvious as my previous evidences pointed out. Do I need to repeat them here, I wrote a whole chapter about it in the book, please read again. Burak Turna’s response demonstrates the fundamental difficulty of debating with him. I asked about the evidence on which he based his extraordinary claims that ‘Macedonians’ conquered Constantinople in 1909 and that ‘Garibaldians’ invaded Gallipoli. Burak Turna fails to even refer to the evidence on which he relies. He says that he has used ‘the same form of evidence’ on which we base our knowledge of the German occupation of Paris in 1940. But our knowledge of that event is based on mountains of evidence – in French, German and English: German military records, including film of Hitler touring the city, and French archival and newspaper accounts; oral histories, the records of foreign diplomats; in every medium we can imagine. His contention that Macedonians conquered Constantinople is based on reports only published in obscure country newspapers in country Australia. Thousands of books, articles and documentaries describe the German occupation of France: no one but Burak Turna describes the events he claims occurs. You’ll understand my derision even if you can’t forgive it. 2-Why has he not consulted any contemporary evidence except newspaper reports? Is he aware of the massive quantities of archival evidence available? This is why it is impossible to engage with Burak Turna and his work. The phrases ‘meta datas’ and ‘content-free information-like sentences’ are literally unintelligible to historians. He seems to not recognise the term ‘contemporary evidence’, an idea that every historian in the world uses. It means ‘evidence created at the time’ – the archival records of the contending armies, diplomatic reports, the stories written by newspaper correspondents; the records of those who participated in the battles he describes – their letters, diaries, photographs and memoirs. Burak Turna uses none of this vast quantity of historical material, and fails to explain why. 3-How does he explain the degree of effort required to falsify the archival and published evidence that disagrees with his version of the campaign? Burak Turna’s answer: It is very easy. No effort needed except hiding very obvious information. No one knows that until 1925, no reason had been given as to why Allies got defeated in Gallipoli as you will read in my book. Isn’t it obvious how the archives falsified? Simply not telling anything. If you don’t tell anything you don’t need to falsify. There is not a real evidence at the moment that would prove against my point of view. I am ready to refute all of them if any provided. Burak Turna seems unaware of the mountains of evidence – mostly on paper, but also in photographs, on film, in art, in oral history, and in museum collections containing physical evidence of the version of events he regards as a lie. If his interpretation were true not only would there need to be evidence that the events he contends actually occurred (which there is not except in idiosyncratic readings of the Gulargambone Rural Advertiser and its ilk) but to convince us he needs to explain how these mountains of evidence came to exist. (Indeed, he also needs to explain why censors failed to suppress these many contemporary accounts, and why the National Library of Australia, which created Trove, and which must be a part of the conspiracy to deny the truth of the ‘Garibaldist’ invasion of Gallipoli, has allowed this evidence to be found.) It is not just a matter of ‘not telling anything’. This massive quantity of evidence, none of which supports his version, does exist (though he seems not to have looked at any of it). He cannot be allowed to get away with simply dismissing it as having been falsified. We have to ask: how was it falsified; by whom, when and with what intention and results? 4-How does he explain the huge discrepancy between his view and all other published accounts of the Gallipoli campaign? Actually there is free-thinking in the academic world – the western liberal humane academic tradition exemplifies it. It gives us the liberty to offer challenging interpretations based on new evidence, fresh questions or novel questions, subject only to the test ‘is this demonstrable?’ Would I accept his book as a thesis? No: because though it vigorously proposes a novel thesis it fails to engage with the mass of existing primary evidence, to explain why the existing secondary literature should be disregarded in toto and ultimately fails to convince that Burak Turna’s view of the history has any credible justification. That Burak Turna seems to regard the academic world as a conspiracy seems an adequate indictment of his case. I repeat, there exist literally thousands of books, memoirs, documentary films and other forms of interpretation in many countries, none of which support his bizarre interpretation in any way, only a fraction of which have been produced under the modern western academic system he deprecates. He has no response to this fact that except to claim that everyone else is lying. Allegations of conspiracy are the first refuge of an historical charlatan. 5-Why does he regard everything else published on this subject as ‘lies’? Burak Turna asserts that all other authors have believed the ‘lies’ told by censored reports – incidentally, the same censorship to which the newspaper reports he quotes were subject. This response merely re-states the unconvincing – indeed, literally incredible – argument that all the evidence has been falsified: except for reports in obscure Australasian newspapers. Burak Turna’s book is as I described it in my summary on the Amazon website: ‘absolutely false in its assumptions, grossly flawed in its methodology and utterly misleading in its narrative, argument and conclusions’. I stand by my assertion and judgment that if it is not a hoax, it is a fantasy. As the editors of those provincial newspapers he relies on used to say: ‘no further correspondence will be entered into’. Apart from what I will write below, I always admire the ones who are courageous enough to stand up for an intellectual duel. When I have read the review, what attracted my attention in the first place was that Mr.Stanley had used first two pharagraphs to discredit my sources ending it with a conclusion which suggested my book was a “bizarre fantasy” presented as a “serious history”. He certainly implied that the very serious articles that I have used as a base of evidence for my book which contained accounts of eyewitnesses wired from different locations by different reporters have no value from a historical analysis point of view. He also teased the names of these old Australian newspapers. He simply shadows a very important fact here; during early 1900’s media was much more free, there were many publications. They were able to publish news wired from different locations. They did not try to “edit” the news to shadow a reality. They simply published wires which contained unbelievable amount of information. In some instances, they published two completely conflicting reports. But due to my method of research, those conflicts was a source of information. And this rich informaton pool was could be snubbed because they carried funny names. So, Mr.Stanley, could we also suggest that animal images found on the walls of the rocks carved many thousands years ago bear no historical value to understand human evolution or how they lived because they were drawn clumsily by ordinary humans? No Mr.Stanley, science will never advance if you don’t put your hands into mud and commit a great deal of your time thinking through the tiny clues you may have found beneath the rubble of time. Of course, if you really think that history is a science and should be a science which I do with all my heart. In third paragraph Mr.Stanley directs his intellectual attack on my novelist side so as to strengthen his claim about the book being a “bizarre fantasy”. Again he falters badly in his attempt to discredit a fact hidden for a century… So, according to Mr.Stanley, bearing funny names as a newspaper, being able to write novels which was reviewed in the front page of International Herald Tribune, makes you less able to understand history. Of course, he does not know that I also wrote a philosophy book. I could safely suggest that my novelist side was a great asset to discern inconsistencies of the story structure of the Official History. When I read a book written in the line of official history of the period, I coud easily spot the structural problems and contradictions of the official story which helped me to focus my research time onto certain areas. While trying to discredit my resources, Mr.Stanley misses a great chance (maybe intentionally) to undertsand one of the most scientific approaches applied to history in last hundred years. Despite my scientific approach will certainly destroy the classical and highly misleading history methodolgy which supported the badly written and misleading WW1, Downfall of Ottoman Empire and the Battle of Gallipoli history, I believe there is still place for official historians eager to learn to adapt with reality. But it is difficult to get rid of the academical illusion created by a century long walk on the wrong path. I should note that Mr.Stanley’s overall reasoning is highly problematic even from the classical point of view. For example, while he tries to discredit my resources by mocking their names (don’t forget that those newspapers are part of Australian media history. Treating “past” by a historian in such a teasing way is unbelievable) he simply keep hiding a very important information about the wide range of resources and content of the book. For example, apart from newspaper articles which contained invaluable bits of pure information feeding the structuralist phase of my methodology, I used (copyrighted material) photographs of Bulair Lines and Forts which have been completely non-existant for Academical history and history reader but published in very lively magazines of the time, like Illustrated London News etc… While talking about importance of the Bulair Lines and their utmost importance in the strategy of the Anzacs and Allies, I have used those photographs, drawing from a resource dated 1850’s something, reference to a then top secret official report prepared for the Admiralty, various articles emphasizing the central role of Bulair operation, references to articles underlining military attacks made against Bulair lines prior to WW1, etc… And I have added another very important element to those evidences while constructing the real history; non-existence of those very obvious and precious material from the official history. Yes, if you have enough evidence pointing out an important gap in a story, then its non-existence in the official account turns to be an evidence itself; even the lies associated with the story could be used to structure the truth. For example, think about a police investigation about a murder. What would you expect detective to do? Questioning the suspects… But would you expect him or her to believe whatever suspects tell? Detective will use unspoken information to further his investigation because if a significant detail is kept off intentionally than this would be used as an evidence that suspect is trying to hide something. And in my case, the amount of information kept off from the official accounts was so enourmous, why would we behave different than a police detective…If you are investigating a crime, would you tease some of the eyewitnesses because they have weird names, speak funny or does not carry a significant place in society? In another chapter, there is a Scientific American article used to support our reasoning in one of the most important chapters of the book. (About HMS Queen Elizabeth). I have used a picture taken from aboard a battaleship during the actual bombardment of an Ottoman Fort in Gallipoli. You could see the moment fort blow up and at the same time only a bunch of Allied soldiers approaching the shore with a small boat. Where are the so called Ottoman resistance made up of hundreds of thousands of soldiers, trenches, machine gun nests, artillery etc. How could twenty soldiers get on the shore, work on the forts to blow up remaning guns and get back to ship if there was such a defence as written in the Official history? There was not. I have analyzed Ottoman defense in the Gallipoli which was quite fort based and small detachments. Maybe there was 10,000 Ottoman soldiers at most. Official history had to lie about it because it had to hide another great fact hidden from the history… 1909 conquest of Istanbul by “Powers” and the International Gendarmerie force established inside Macedonia out of Macedonian terrorist Organization IMRO forcing Sultan with diplomatic and naval threats. You have never ever heard of IMRO in relation to downfall of Ottoman Empire. Imagine that a picture where IMRO leader is entering Istanbul as a victor in 1909 and official history is completely kept ignorant about IMRO and Macedonian Question of Ottoman Empire. In another photograph, IMRO leader is in the dominant boss position sitting and the Enver Pasha (You know him as hero of Gallipoli) stands behind him. In an article, Enver Pasha IMRO organic relation revealed, and in another article I have used an account about Enver’s soldiers attack on Ottoman soldiers together with IMRO terrorists. But no, those are not enough for an academician historian because…Because simply he doesnt know all of these so it can not be accepted as history. And even when you write a book about it with so many resources included, an academician will not even feel a curiosity about it; because if you accept one of the many obvious evidence that this book provides, official history and all of its content (thousands of books, magazines, thesis) will fall like a house of cards. 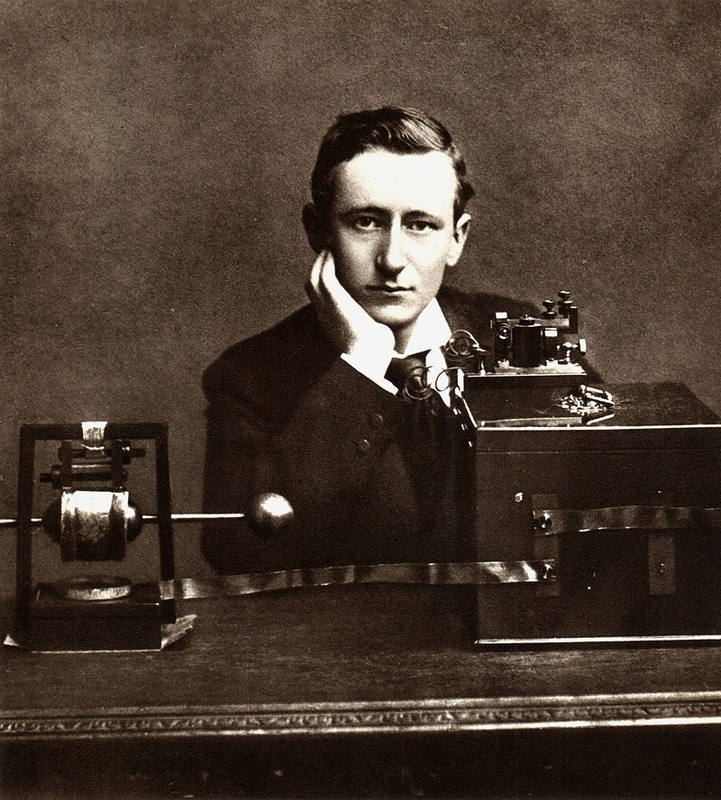 In another instance, I have quoted from a very prominent scientist, a fellow of the Royal Society, also manager of Marconi Wireless Company which was the central brain of technological side of the the Battle of Gallipoli. What is history, if so many sound evidence are not going to be taken into consideration by a historian? Shall we listen to an official account of the victor, note it as history and absolute truth, and shut our brains off? So if we can use toilet paper orders (pure meta-data) given by the servants of a castle as an evidence to construct a historical account of the journey of a King, why can’t we use hundreds of them we could find in the newspapers, magazines, picture, photograps, and even in the official accounts regardless their intention to cover up facts. Mr.Stanley claims accounts contained in my books written by journalists who were distant from the battlefield, and blames me for not caring about it. Mr.Stanley again does not tell the truth to his reader. The accounts that I have taken into consideration have been written by journalists who reported from the middle of the war. For example, One of the most important accounts I have used was written by an embedded journalist to the Macedonian army conquering Istanbul in 1909. Mr.Stanley wrongly claim (again!) that I have not used personal accounts, official archives… I have used personal accounts of soldiers, airmen, navy sailors supported with photographs, graphics, maps, articles. Those account were from the soldiers who were actually fighting when those were published. No, Mr.Stanley somehow did not like them because they were published in funny named newspapers. If we take a look at the official archives, there is something important that Mr.Stanley might not have been in knowledge of. In 1909, Yıldız Palace, head of the Ottoman Empire (Imagine a Pentagon sized structure employing 5000 diplomats, civil servants, soldiers etc) has been captured by Macedonian terrorists (as they liked to call themselves. Then, it was not a globally condemned act. IMRO was the organization which committed the act that brought nations to condemn terrorism globally. Why a historian would bother with such an information, right?). All of the Yıldız Palace archives have been ransacked, Imperial library in the compound ransacked… Those archives have been destroyed. Could this be a reason why I might not trust Ottoman official archives for example? But hey wait, I have reached some reports of Yıldız Palace sent out years before it was destroyed.. Where? Guess it… Yes, in funny named newspapers of Australia. I am personally thankful to those people who published these newspapers. How do I know they are published by Yıldız Palace? Because they were wired in 1905 for instance, there was no war at the moment and no reason to lie at all. They were simple Palace statements when they were published but gained great importance after 1909 because official reports started to rig every bit information. Of course, no one would have imagined the internet age. Mr.Stanley asks me how I reconciled my study with official and personal archives and the books written on this issue. He believes all the historians would disagree with me. In fact, I was thinking of quoting from history books and prove their falsity with evidences but then, thought that it would not be a just act to choose some of them and refute their claims. Since I have been asked to do that, I will give some examples. The articles which contained censored (distorted, rigged) information are the ones which is made up of stories but no meta-datas… The articles which reflect reality are those rich in meta-datas, but contains no story or very hallow stories. At this stage, my novelist side helped a lot. If an article contains names, adresses, historical affiliation informations, numbers (meta-datas), that means this article is suitable to be evaluated as part of our reasoning. There are many other factors to decide an information as evidence. To provide more examples for you I checked (bought) the best selling book on the subject. I would urge anyone who read this book to read my book also which will clearly show them how official history is far from truth. To repeat again, Mr.Rogan is not responsible, he is writing his book in accordance with history methodology which is so flawed that it prevents anyone even questioning a simple information. The paragraph in which this input provided about Cyprus tries to portrait an Empire in decline giving some information like other inputs. However, those inputs lacks content, because they contain no meta-data. They do not take us anywhere else (remember meta-data description of Mr.Stanley). You can not think when you read such sentences. You simply “believe” it and accept as truth. But had Mr.Rogan provided real content within this particular phrase about Cyprus, you would have a chance to think and question. Cyprus was a land with two important salt-pits, a very strategic asset because salt was the material that protected the food if army was to march. In 1878, before Cyprus’s administration being handed to Britain, Cyprus was a clear annual gain for Sultan, it brought 108,000 GBP in 1878 and provided salt for the Empire too. And after British administration, actually nothing has changed. In 1883, Britain paid to Sultan 92,686 GBP as a tax and provided salt from its production. So could someone conclude that, if those meta-data were known, Ottoman was in decline because Britain administrated the Island? It was a source of good income and strategic material salt for Sultan and helped to foster good relationships with Britain which was an important ally for a long time of Ottoman Empire. If you do not know the story of other powers who tried to steal Britain from Ottoman Empire as an ally, than of course you would not understand Cyprus deal. My Answer: I contend on the same form of evidence you contend that Germans conquered (Actualy invaded than repulsed but Macedonians could not have been repulsed and conquest completed) Paris in WW2. Macedonians entered the city in 1909, destroyed the palace of Sultan and captured the Sultan and took him to their base, Salonica. What else do you need to call it a conquest? Italian involvement, as all of my evidence suggested was one of the greatest secrets of the war. There are many evidences scattered inside the book. Garibaldian involvement was obvious as my presious evidences pointed out. Do I need to repeat them here, I wrote a whole chapter about it in the book, please read again. My Answer: I gave an example to a contemporary book on the subject. Contemporary evidence (What does it really mean? You can not call something evidence if it is not spotted at the moment of event. Evidence based history requires meta-datas, not content-free information-like sentences. My Answer: It is very easy. No effort needed except hiding very obvious information. No one knows that until 1925, no reason had been given as to why Allies got defeated in Gallipoli as you will read in my book. Isn’t it obvious how the archives falsified? Simply not telling anything. If you dont tell anything you dont need to falsify. There is not a real evidence at the moment that would prove against my point of view. I am ready to refute all of them if any provided.